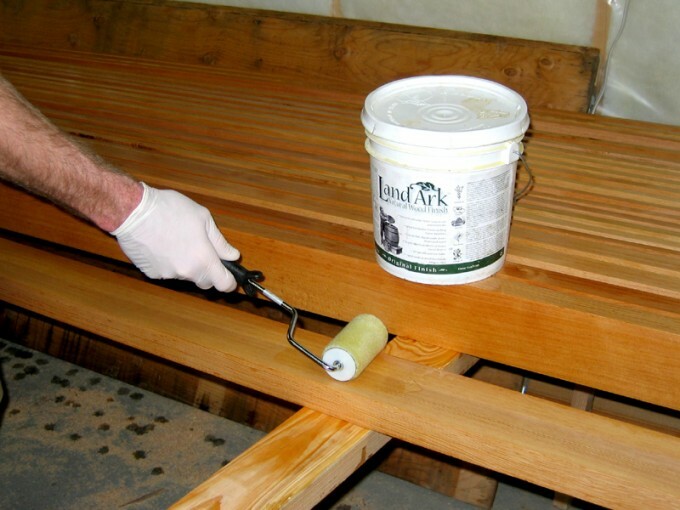 The Land Ark wood finish is a great natural and non-toxic product for interior timbers and trim. It’s important to us to use as many materials and finishes as possible that are healthy for the homeowners and for our team members that are applying the finish. Natural finishes also mean a smaller ecological footprint. Land Ark finish is a penetrating oil finish made of natural ingredients from sustainable sources. The producers recommend using lambs wool or a clean rag for application, but we are using a roller with excellent results. Two coats are rollered on (wet on wet), and the excess is then buffed off.